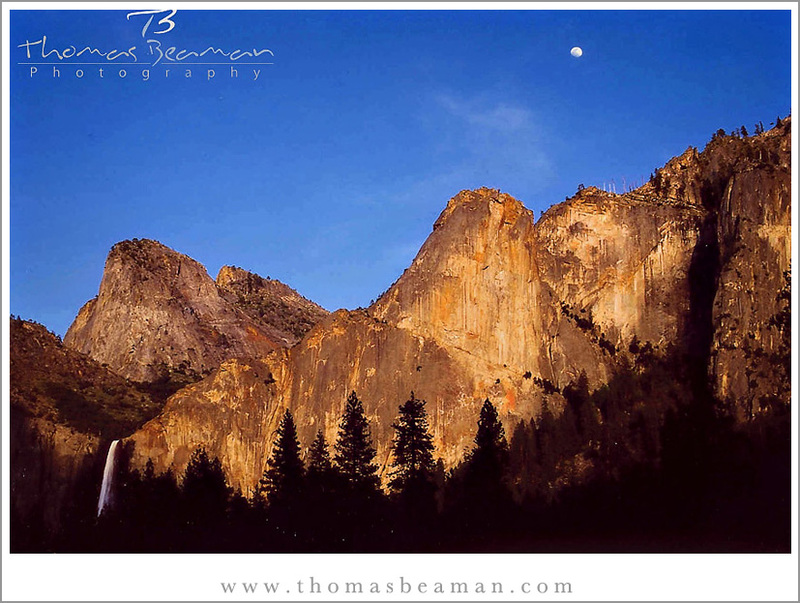 Here is part 2 of my Yosemite National Park photos. All photos were taken with a Pentax 67 medium format film camera. The first image was take from the parking lot of Bridal Veil Falls. 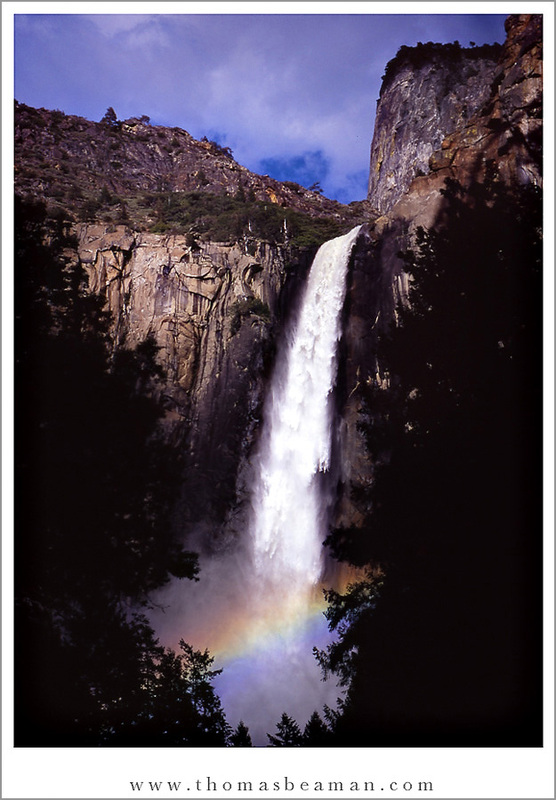 During spring, when the falls are at 100%, you get this gorgeous rainbow at the base of the falls during the late afternoon. A big spring flood left these pools of water. The next morning when the storm had passed, everything was perfectly still, giving me a great opportunity to take this reflection image. 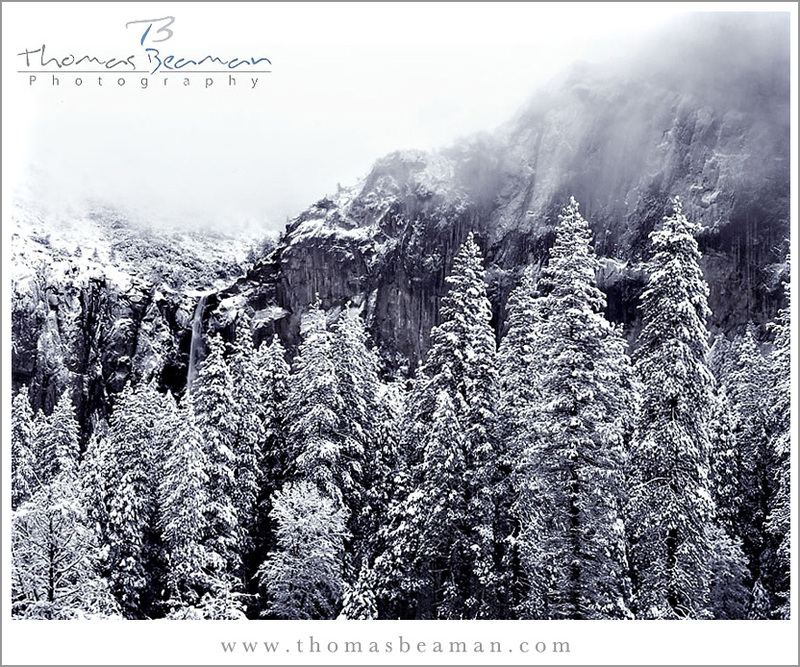 During a winter storm, the snow and fog made for a very moody image near Bridal Veil Falls. 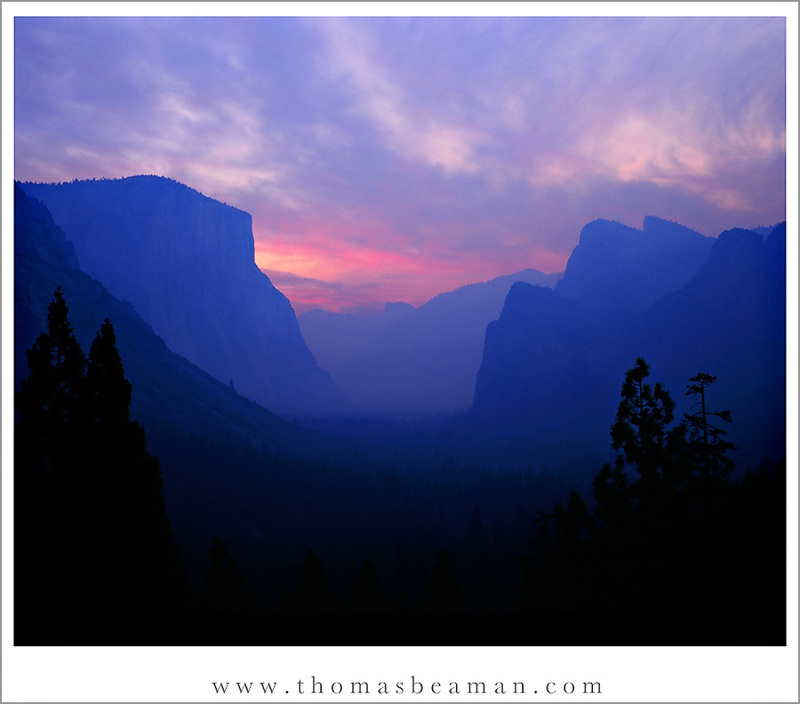 An October fire left the Yosemite valley filled with smoke. I drove up to tunnel view before the sun came up to grab this photo. This image won first place in the Lake Tahoe Community College art show. The title is “Fire’s Beauty”. The moon was rising over Bridal Veil Falls just before the sun went down. This was the last photo I took before I left the park. 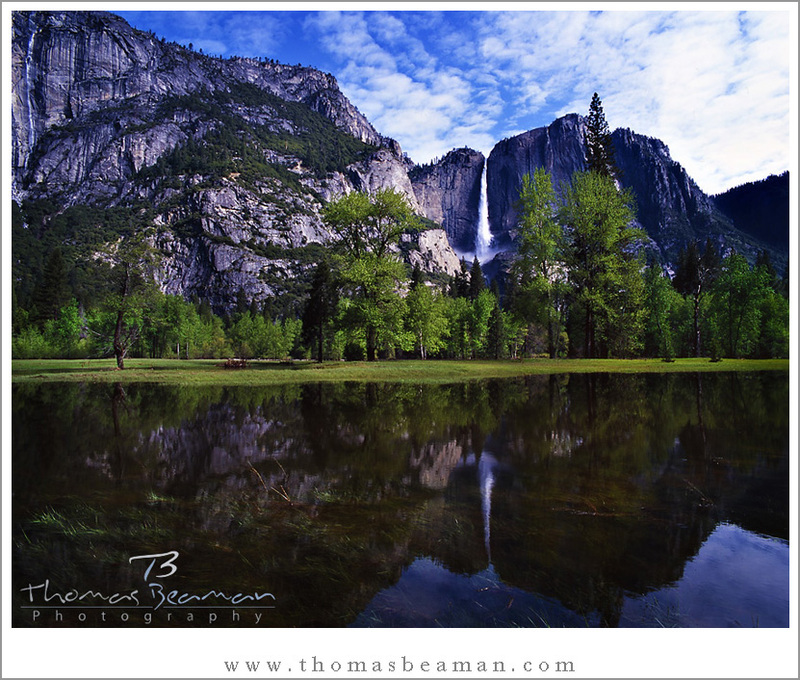 Make sure you take a look at my other Yosemite pictures.